I have been a fan of this series since book one and I am enjoying the way this series is progressing. 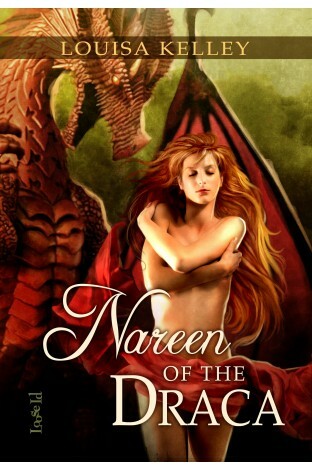 This latest book gives us Nareen’s story. She has always been there for her people but has grown weary and needs some time just for herself. When she takes some time Nareen soon finds that she needs much more than just time; she needs and longs for a mate. Where could he be and how could she ever find him? Nareen must trust her instincts and find a way to locate her mate and please her people at the same time, hopefully not having to choose one over the other. I love Nareen. She is a strong woman who cares for her people but is wise enough to know that she needs a break. Nareen is more than willing to stand up for herself as well as take care of those that need her. She is not afraid of Tarlach in either of his forms; be it man or dragon. The two make a great couple. Both have endured so much over the years and deserve their happy ever after. Watching the love grow between these two made for a beautiful read. It was nice to see the previous couples from books one and two. They may be secondary characters in this story but we get to catch up with them and they are an integral part of this story. The love that they all have for their mates and their people shines through in everything that happens in this book. Nareen finds that even as strong as she is sometimes we need the help of others. This book was a nice read and I hope that we get to see more from this wondrous world that this author has brought us.